From "Cloudy with a Chance of Meatballs"
Anyway, Andrew was not fond of the Jello. Boo. He did try it. Many times. And, he made many faces, too. 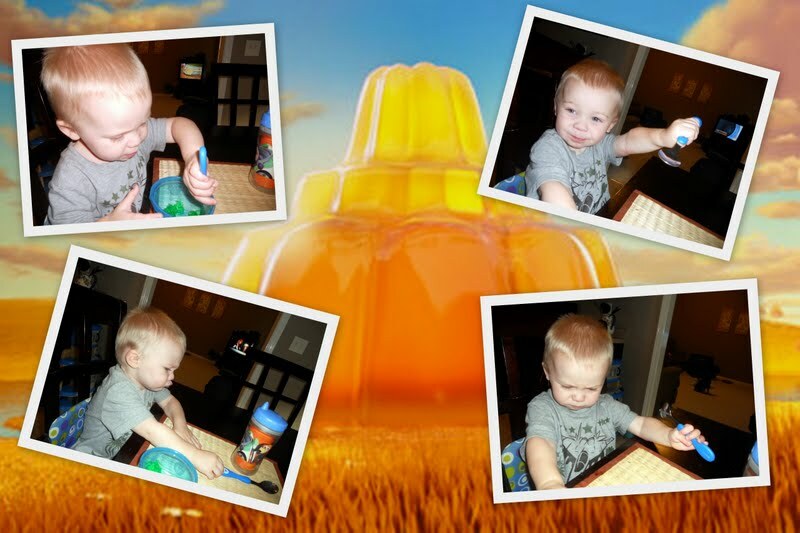 He takes after his daddy in this tasting... Jello = Ick. NOOOOO!!! How can that be possible?? Jello rocks.